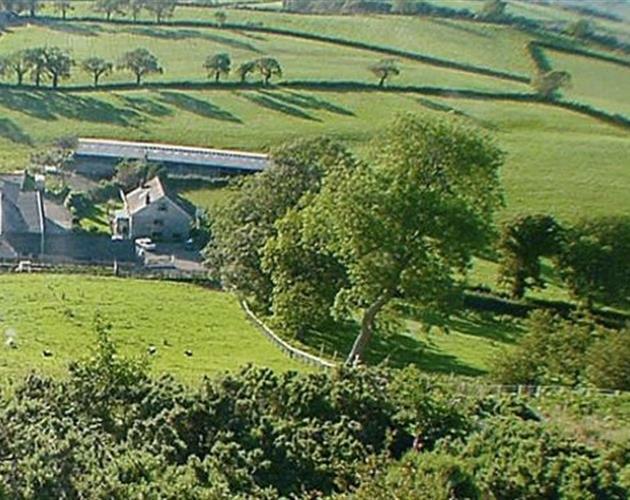 A warm Welsh welcome awaits you at Alltyfyrddin, our 220 acre dairy farm overlooking the beautiful Towy Valley. Standing in lovely lawns, the farmhouse dates back to the early 1700's. It has been sympathetically modernised over the years to ensure it has the benefits of today's comforts whilst retaining some of its original features. The guests' lounge has beamed ceilings and a charming inglenook fireplace that has only recently been uncovered and restored to its former glory. All the bedrooms are comfortably furnished and tastefully decorated, each has a colour television, beverage tray, and hairdryer. 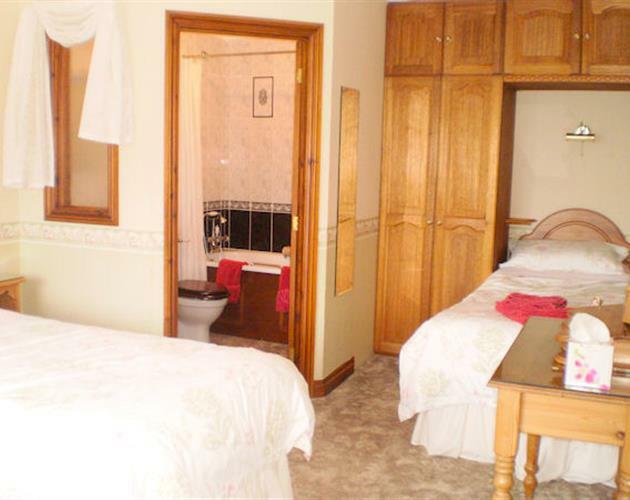 The family room has an en-suite bathroom. 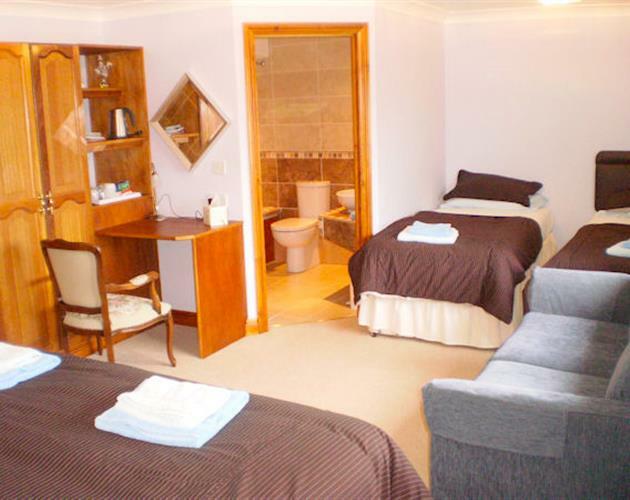 The single and twin-bedded rooms have a vanity unit with shaver point and share a bathroom. There is a cot available. We offer a choice of either a delicious Welsh or continental breakfast, special diets can also be catered for. Alltyfyrddin is a farm steeped in history, shrouded in mystery, and rich in wildlife. On the farm is Merlin's Hill where, according to legend, Merlin the wizard is kept in bonds of enchantment. Walk our nature trails from the farmyard to the hilltop site of an Iron Age Hillfort, and admire the breathtaking views enjoyed by Merlin. During your stay at Alltyfyrddin, we hope you will discover some of the secrets of Carmarthenshire at the farm itself. Alltyfyrddin is home to the Merlin's Hill Centre where you can walk the nature trails to the hilltop or wander around the farmyard heritage centre and meet the farm animals. Explore Carmarthenshire's varied countryside from the foothills of the Brecon Beacons to Carmarthen Bay, where fact and legend mingle and heritage shapes its landscape. There are the dramatic castles of Carreg Cennen and Llanstephan and the beautiful gardens at Aberglasney, Golden Grove and the National Botanical Garden of Wales. For many years the ancient township of Laugharne was the inspirational home of Dylan Thomas. Along the way call in at the numerous craft workshops found throughout the county. For pure nostalgia ride on the steam train at Gwili Railway near Carmarthen. Alltyfyrddin is an ideal touring base for West Wales. It is just 2 miles from Carmarthen, the oldest town in Wales, whilst the Carmarthenshire Museum is only a mile away. The sandy beaches, rocky coves and small islands of the Pembrokeshire coastline are not far. St.David's Cathedral is well worth the pilgrimage whilst the more adventurous might prefer the white-knuckle ride of Megafobia at Oakwood. Our neighbouring county of Carmarthenshire also has much to offer including the beautiful Cenarth Falls and the very interesting National Coracle Centre. 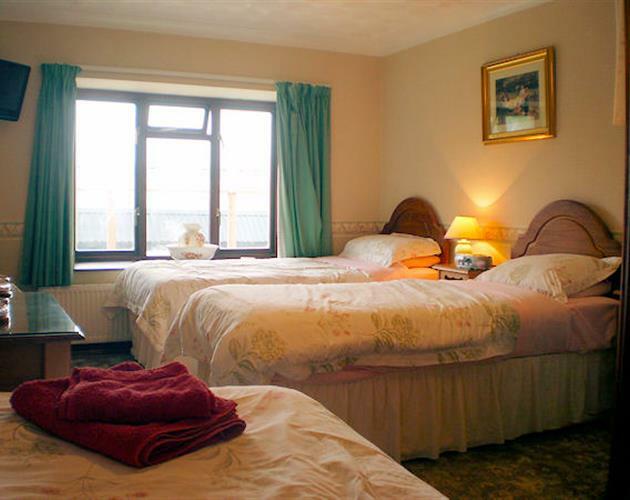 We will assure you an enjoyable and relaxing stay at Alltyfyrddin whether you are on holiday or on business.